SLPs are well-aware that speech, language, and literacy are all interconnected, but we’re also aware that they’re not necessarily interconnected in a nice, clear, easy-to-understand way. This study helped to sharpen our vision on whether we should expect later spelling difficulty in children with early speech and language disorders. First, a quick refresher. There are a couple of skills kids need in order to have good spelling skills. One is phonological awareness. The other is RAN, or rapid automatized naming (e.g., naming a set of colors or animals as fast as possible). While RAN is usually studied in the context of reading, it can also affect spelling, and can predict spelling difficulty in children, especially for irregular words (see here for more on RAN and spelling). In addition to the skills associated with spelling, there is also a genetic factor: spelling difficulty (and reading, learning, language, etc.) can run in families. On top of all of that, we know from existing research and clinical experience that children with speech sound and language disorders are at risk for later reading and spelling impairments. All children were assessed again at middle school or high school age on phonological awareness, RAN, reading decoding, and spelling. Interestingly, the results indicated that having SSD alone was not associated with spelling difficulty in later school years, but children with SSD + DLD and children with CAS (who also met criteria for DLD) showed continued spelling difficulty into middle- and high-school. Taking a closer look at the underlying skills needed for spelling, phonological awareness was related to spelling scores at middle- and high-school, but RAN was only related to spelling scores in the high school group. The authors also looked at heritability of spelling skills. Heritability looks at the probability that differences in a trait (in this case, spelling) occur because of genetic reasons and not because of environmental factors or by chance. Controlling for diagnosis and socio-economic status, the authors found strong heritability only in the high school group, meaning that genetic factors are probably more important in later spelling skills while environmental factors are more at play in the earlier years. Based on the results of the study, authors suggest we should keep a close eye on children with early SSD and DLD and intervene for those students who are showing early signs of spelling and reading difficulty. I think we can all agree that there’s a lot of research out there aimed at improving literacy outcomes for at-risk readers, and that the use of evidence-based practices is crucial to literacy success. But what about those students who still struggle to read, despite our use of evidence-based practices? How do we get to those students? The authors of this study looked at the evidence, identified the most effective current practices, and designed a new theory-driven intervention package to improve reading outcomes for those at-risk poor readers. They compared their Direct Mapping and Set-for-Variability Intervention (DMSfV for short) to a Current or Best Practices (CBP) approach with a big group of first graders with low word-reading scores. Interventions were delivered in small groups outside of the classroom for 30 minutes, 3 times a week for 10 weeks. The CBP approach included typical phonics strategies (like blending and segmenting phonemes), along with teaching sight words and doing shared book reading. A key goal of the DMSfV* intervention was to teach the skills necessary to read words even when they broke standard phonic rules. So, which intervention was more effective? Immediately after the intervention, the DMSfV group performed significantly better on word reading and spelling measures. Five months later, they performed significantly better on word reading and sentence comprehension tasks. Despite this success, though, half of the children still remained relatively weak word readers and needed ongoing support—there’s no magic solution here. The takeaway? It seems that some struggling students will benefit from stepping outside of the box of current practices, even when those practices are generally effective. There is more than one evidence-based way to teach reading, and some students will benefit differently from different approaches. If this study calls out to you, check out the full article (and don’t miss the Appendix!). The authors have included a lot of detail about the intervention procedures and materials, including the specific story books used and the frequency of specific phonemes/vowel digraphs in each story. If you’re working on vowels with a student, this list might be valuable! *“Dims fuv”? We like our acronyms pronounceable! Savage, R., Georgiou, G., Parrila, R., & Maiorino, K. (2018). Preventative reading interventions teaching direct mapping of graphemes in texts and Set-for-Variability aid at-risk learners. Scientific Studies of Reading, 22, 225–247. doi:10.1080/10888438.2018.1427753. 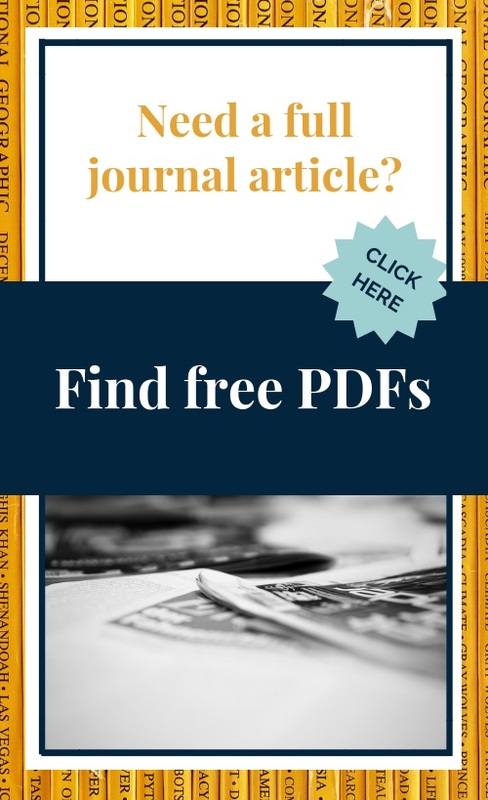 This article begins with a literature review that differentiates simply exposing a child to the spelling of a word in print from explicitly referencing that spelling in print, referred to as print referencing. When using print referencing, the researchers prompted students to point to the target word in print. The goals of the study were to 1) determine the effect of spelling exposure on learning pronunciations and meanings of vocabulary words, 2) compare the effects of spelling exposure and print referencing on vocabulary word learning, and 3) compare the vocabulary word learning of advanced and less advanced readers. The 45 first-grade participants in the study all had knowledge of 18 or more letter–sound combinations. Students were split into two groups: one group received spelling exposure intervention only and the other received spelling exposure plus print referencing intervention. Students in the spelling exposure only group 1) saw the picture + word card, 2) were told the pronunciation/meaning of the word, and 3) repeated the pronunciation/meaning. For the print referencing group, researchers additionally drew students’ attention to the spelling on the card by prompting students to point to it. Note that cards without any printed word at all were also compared. Print exposure alone was sufficient to support learning word meanings (print referencing didn’t help… nor did print referencing help pronunciations). Although print referencing did not have a significant effect on vocabulary word learning, the study suggests that spelling exposure facilitates first graders’ learning of word pronunciations—and remembering these pronunciations—which the authors note is more challenging than learning word meanings. The study’s results support prior findings in similar research with second and fifth graders. Chambre, S. J., Ehri, L. C., & Ness, M. (2017). Orthographic facilitation of first graders’ vocabulary learning: does directing attention to print enhance the effect? Reading and Writing, 30(5), 1137–1156. Writing and spelling as essential components of successful language and literacy—what’s our role, here? Some school-based SLPs, as soon as they see the words “writing” or “spelling” immediately push the topic aside. “Not my job,” they may say. However, the written modality of language matters. It’s not just about phonemic, phonological, and semantic awareness. Orthographic and morphological awareness (tied to both written and spoken language), are crucial components of good language and literacy skills as well. Good et al. provide a tutorial on spelling instruction for children with language impairment. They lay out an explicit 10-week program, with lessons the SLP may provide twice weekly. McNeill et al. provide some early evidence that young children with inconsistent speech sound disorder (“40% or more inconsistent speech errors”, but not apraxia of speech) have particular difficulty with spelling, despite their language and reading skills. Pavelko et al. demonstrate that the writing skills of four-year-old children with language disorders (with typical cognitive skills and without other neurological disorders) are below what would be expected. They suggest that SLPs work closely with teachers and OTs to support writing as an essential early literacy skill in these children. Now, all this information can feel really overwhelming, really quickly, for the SLP who isn't already considering writing in therapy. It’s important to recognize that supporting students in written language is the responsibility of several integral professionals—SLPs, OTs, and teachers. SLPs certainly cannot tackle it alone effectively. So, where should the SLP start? Recognize that you’re not fully supporting literacy development if you’re not considering written language, in addition to oral language. Again, I’d go back to the Apel & Werfel (2014) tutorial for examples of instructional techniques that you can start incorporating right away. They state, “By integrating morphological awareness instruction into the services they provide, clinical scientists (aka SLPs) and other educators will be providing their students with a strong tool to aid written language skills.” The other good option would be the Good et al. (2017) article. These two articles have, by far, the most explicit examples of what an SLP may do. Apel, K., & Werfel, K. (2014). Using morphological awareness instruction to improve written language skills. Language, Speech, and Hearing Services in Schools, 45, 251–260. Ehri, L.C., & Rosenthal, J. (2017). Spellings of Words: A Neglected Facilitator of Vocabulary Learning. Journal of Literacy Research, 39(4), 389–409. Good, J.E., Lance, D.M., & Rainey, J. (2017). The use of direct spelling instruction for children with language impairment. Communication Disorders Quarterly. Advance online publication. doi: 10.1177/1525740117702455. McMaster, K.L., Kunkel, A., Shin, J., Jung, P.-G., & Lembke, E. (2017). Early writing intervention: a best evidence synthesis. Journal of Learning Disabilities. Advance online publication: 10.1177/0022219417708169. McNeill, B.C., Wolter, J., & Gillon, G.T. (2017). A comparison of the metalinguistic performance and spelling development of children with inconsistent speech sound disorder and their age-matched and reading-matched peers. American Journal of Speech­–Language Pathology, 26, 456-468. Pavelko, S.L., Lieberman, R.J., Schwartz, J., Hahs-Vaughn, D., & Nye, C. (2017). The development of writing skills in 4-year-old children with and without specific language impairment. Clinical Linguistics and Phonetics. Advance online publication. doi: 10.1080/02699206.2017.1310298. Does multisensory instruction support reading? Reading programs generally feature many components, any of which could contribute to teaching literacy skills. The Orton-Gillingham approach (upon which several popular reading programs are based) is highly structured, and emphasizes the crucial role of language in literacy instruction. It also often includes a multisensory component, which is the purposeful addition of various auditory, visual, and tactile cues to aid learning. Schlesinger, N.W., & Gray, S. (2017). The impact of multisensory instruction on learning letter names and sounds, word reading, and spelling. Annals of Dyslexia. Advance online publication. doi: 10.1007/s11881-017-0140-z. *NEW*: Check out these perspective pieces! Recall that The Informed SLP provides you with monthly reviews of empirical research (obviously... you're reading it right now!) This includes both quantitative and qualitative studies, levels 1a–3 (per ASHA). What hasn’t been covered to-date, however, are “Opinion” or “Perspective Pieces”. Why doesn’t TISLP review perspective pieces? A few reasons: 1) they’re considered a lower level of evidence, 2) they tend to cover many points, referencing many different studies, rather than providing *a* new piece of evidence, which makes them tough to review in the TISLP style of brevity, and 3) these articles tend to be more readable by clinicians, so there's simply less need for a TISLP review. However! We're about to switch things up and, at least start TELLING you about these. Effective Word Reading Instruction: What Does the Evidence Tell Us?